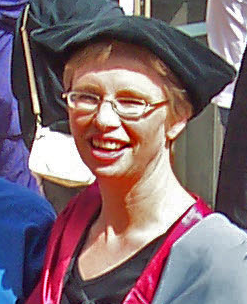 Dr Nic in PhD regalia - I love to dress up! helping the graduands to be in the right place at the right time in the right order wearing the right clothes and doing the right things. I have acted as a marshal for some years and love helping people to have a good experience. I love graduations because of the accomplishment they represent, and the efforts the student, the parents and the staff have made for these young people to complete their qualifications. This graduation was pretty special, as it was the class that had to cope with repeated earthquakes, snowfalls and other disruptions in the last half of their degrees. They are the students who had to adapt to being taught in tents or on-line, and who, at the beginning of each exam, were warned what to do in case of an aftershock and told to keep their wallet, phone and keys with them at all times. They are the students who rallied together to support each other and the community and shovel silt. The second point Prof Burroughs made is pertinent to the teaching of Statistics and Operations Research. He recalled the advent of the ballpoint pen when he was at school. Until then he had been at the mercy of dip or fountain pens. Then when the ballpoint pen arrived it revolutionized writing. His teachers weren’t impressed and often insisted that students stick with fountain pens so as not to ruin their penmanship. It was an example of technology and improvement and change and people’s reaction. When he was a lecturer in law at the University of Canterbury he eschewed computers and was probably called a Luddite, though not to his face. In his later career he has had to embrace the new technology, including Facebook, twitter, Google and the like (the Like?). And he has enjoyed it. He wishes he had ridden the wave at the time. There will always be change. Prof Burroughes’s advice to the graduates was to try to anticipate and enjoy change. Change equals opportunity. And now I get to the point. The widespread use of powerful computers has changed Statistics and Operations Research. What will not change is change. There will continue to be advances in the accessibility of our disciplines to the masses. And we need to embrace this. When I learned Statistics and Operations Research in the early 1980s there was little computing power available. We used Eton tables, and solved two-variable LPs on cartesian planes. We performed matrix operations and stochastic simulation by hand calculation. We learned Revised Simplex by hand. We used the Poisson approximation of the binomial distribution as that avoided tables going too high. When we used MiniSPSS we were allowed ten runs in which to produce a linear regression, and the emphasis was on the production rather than the interpretation of output. That was then, and this is now, and I think too many teachers of Statistics and Operations Research have not moved on. There is certainly evidence of this in the textbooks. Recently a colleague and I reviewed all first year Operations Research textbooks, examining their treatment of Linear Programming. One of the textbooks was a later edition of one I had used in 1981. The later edition used the same example to teach LP. Much of what was in these textbooks did not recognize the powerful opportunity the spreadsheet provides to explore and understand models. I have also been reviewing statistics textbooks, though there are too many to be exhaustive. Statistics textbooks too often are stuck in the days of the fountain pen, rather than embracing the great possibilities that are there with the power of the computer. I challenge all teachers of Operations Research and Statistics to examine what they do and ask if it is the same way that they were taught. If the answer is yes, then some more thinking is called for. We have such amazing opportunities to teach so much better, to use real data, to make a real difference, that to be stuck in the old methods, using tables and formulas is close to a crime. I would agree it is important to embrace progress, but – always a but, in my simple world it is important to retain the ability to do things without all the wonderful “computers” until they invent one that doesn’t require power to run. For without power the only way to achieve results is to remember how to do it without the age of computers.